AND THE ROLE OF HEALY, CANNON AND GRANT. In June 1951 Bleibtreu –Favre a leader in the French section wrote a document “Where is Pablo Going”. Most of the PCI or ICP as it was called was being challenged by Pablo because of the drift of the IS towards its adaption of Stalinism. The IEC had instructed the French section to enter the Stalinist Party in France, whereas the majority around Marcel Bleibtreu and Daniel Renard saw the revisionist course the Pablo leadership was taking at the time .Its role was to liquidate Trotskyist sections completely as mere adjuncts of Stalinism. Bleibtreu and the French majority took a principled stand in defence of Trotskyism. None of the Leaders of the Fourth International including Gerry Healy and James P Cannon ever appreciated the crisis in the French Section and only opposed Pablo when opposition emerged in their own sections represented By Clarke/Cochran in the SWP and Lawrence in the British Section. Never mind what Healy says in His Biography “That it was a serious mistake to join the SWP in endorsing these expulsions” . The result was that the French Majority was left to fight on its own with Healy and Cannon as cheer leaders of Pablo. Ernest Mandel author of the 10 theses and a strong supporter of Pablo said “Who warned the Leadership of the PCI against the trap Pablo has laid for destroying the French section” . Bleibtreu in his document analyses the role of Pablo particularly in his definition of Stalinism, its influence strength and growth. Pablo had asserted that there would be ‘Centuries of deformed Workers States’. Trotsky’s main characterisation of Stalinism was jettisoned by Pablo. New theories were constructed in which there were no room for either Trotskyist Parties or Trotskyism. “Furthermore whether we like it or not these two elements the Capitalist Regime and the Stalinist World essentially constitute objective reality” . Bleibtreu asks “Where in Pablo’s document is there any serious analysis of the situation of the International Proletariat” . According to Pablo “The Revolutionary spirit of 400 million Chinese workers , the Vietnamese, the Koreans and all the working people in the Stalinist world are the auxiliary forces of the socialist tradition led by Stalin”. . For Pablo the arch impressionist and Idealist there is only Capitalism and Stalinism, very little mention of the Working class. Belibtreu continues “Here you have the conclusion that necessarily emerges when the petit bourgeois concept of blocks between states is substituted for a class analysis of world reality” . This then the beginning of a revision of the Nature of the Stalinist Bureaucracy. Bleibtreu asks important questions in his document “Is the Soviet state really a degenerate Workers State or on the contrary is it the prototype of what the transition between Capitalism and Socialism will be like after the Victory of the World Revolution” ..
Bleibtreu answer to Pablo is the correct Trotskyist analysis of the defence of a degenerate Workers state and not to adapt to Stalinism and revise completely the basis on which the Fourth International was founded “The defence of the USSR and of all workers states constitutes a task of the Fourth International, a task that as such and in all its tactical applications must be entirely subordinated to the strategy of the struggle for the World revolution”. .
Trotsky analysed brilliantly the task of the Fourth International in regard to its perspectives for the overthrow of the Stalinist Bureaucracy. “Only the overthrow of the Bonapartist Kremlin clique can make possible the regeneration of the military strength of the USSR , only the liquidation of the Ex-Comintern will clear the way for Revolutionary Internationalism , the struggle against war, Imperialism and Fascism demand nonetheless struggle against Stalinism , whoever defends Stalinism directly or indirectly whatever keeps silent about its betrayals or exaggerates its military strength is the worst enemy of the revolution of Socialism and of the oppressed peoples” . There you have it Trotsky has pinpointed this Revisionism to its core and showed what is needed in our approach to Stalinism. Bleibtreu finishes his document with a return to a proper Trotskyist perspective, return to the Transitional programme and reject these overtures to Stalinism and this new reality which is nothing more than complete prostration before Stalinism and a complete revision of the Statues of the Fourth International. “We must react without delay and return to the Marxist method of analysing society , return to the Leninist concept of the Working Class , return to the Trotskyist analysis of the degeneration of the USSR and the character of the bureaucracy and return to Trotsky’s fundamental statement that the crisis of Humanity in and remains the aims of Revolutionary leadership” . The French Majority has I have indicated in my introduction were left high and dry by the future leaders of the International Committee Gerry Healy and James P Cannon. Both Cannon and Healy had a very close and opportunist relationship with Pablo and refused to assist the French Majority when they were suspended by Pablo .Cannon and later Joseph Hansen were to travel the same path as Pablo supporting popular front governments like Castro in Cuba and adapting to Bourgeois Nationalism and Bonapartism. The SWP under Hansen was liquidated into various Popular front organisations like the “Fair Play for Cuba” committee and other assorted organisations when Castro was in conflict with American Imperialism . Castro has always had a history of hostility to Trotskyism; Many Trotskyists have been jailed and arrested under his rule. Healy on the other hand firstly opposing the Castro government and characterising it as a Bonapartist State Capitalist Government, developing a very reactionary and opportunist relationships with Arab Bourgeois governments including Libya , Iraq , Iran and the PLO. 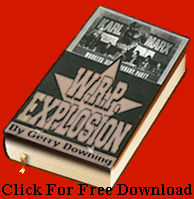 Healy’s relationship with these governments has been documented by others including Comrade Gerry Downing in his Book The Explosion in the WRP and David North’s book “Heritage we Defend”. During the period of the Chinese Revolution of 1948-9 and the Korean and Vietnamese wars of Liberation both Healy and Cannon adapted to Pablo in his major revision of Trotskyism and liquidation of Trotskyist Parties, murders, assassinations and arrest of hundreds of comrades who were members of the Fourth International. There was no attempt to build, construct or aid the development of Trotskyist organisations in China, Vietnam or SE Asia. I will show that on the contrary Healy and Cannon had the closest relationship with Pablo and his methods up to 1953. It was only when pro Pablo opposition emerged in the SWP and the British Section that the Open Letter was written in 1953 that a principled fight against Pablo was conducted. Healy’s friendship with Pablo dates back to 1947 when because of a split the British RCP Healy led a minority section in the WIL and demanded international recognition in the Fourth International. In fact there were two British sections the RCP represented by Jock Haston and Ted Grant and the WIL represented by Gerry Healy. Healy became Cannon’s man in the IS and they worked very closely together with Pablo. Here is Healy in a letter to Cannon on 27th May 1953 talking about his friendship with Pablo “For the past few years I have been extremely close to him and have grown to like him considerably” . Further comments were to support Pablo when he suspended the French Majority for their principled defence of a Trotskyist method. “He has done a remarkable job and right now he needs our help” . “We must save this man Pablo” . It was only when there was the possibility that there organisations were going to be split by Pablo agents (Cochran/Clarke and Lawrence) that a fight against Pabloism was conducted. Daniel Renard one of the Leaders in the French section who were appealing to Cannon for help and assistance to support them against Pablo got short drift. Cannon in his letter to renard on May 29th 1952 failed to appreciate Pabloism drift towards Stalinism and complete liquidation of the Trotskyist movement in France. “I do not think that I overstate the case if I say that should any kind of pro Stalinist tendency make its appearance in our International movement we would probably be the first to notice it”. . The role of Ted Grant (1913-2006) another of the Post War Trotskyist Leaders joined the Trotskyist movement in Britain when he arrived here from South Africa in the 1930’s. He was a member of the Militant League and other Organisations. I have written on the History of British Trotskyism in another Document. Grants outlook was always as a reformist “Reformist political outlook of the Labour Party”  “Grants political perspective since the end of the World War 2 has been based on the assumption that the Kremlin Bureaucracy, the Social democratic Parties and the Trade Unions would maintain their political Hegemony. . The WIL was split into two factions The Grant/Haston tendency and the Healy Tendency. They would eventually unite into the RCP with Healy gaining the Majority before it dissolved. The issue was over entry into the Labour party. Healy advocating Pablo’s immediate entry (Sui Generis) entry of a special type. Haston and Grant preferred to wait until a more favourable situation emerged. The International recognised both organisations though it must be argued that Healy’s organisation represented an Internationalist perspective. In 1937-8 while Grant was active in the Militant Labour League Trotsky had argued for the Unity of Trotskyist organisations. Grant opposed unity and said if Trotsky had come to Britain he would have adopted the same position .This was a sectarian and churlish position which Trotsky was to upbraid Grant for. “That they are being led on a path of unprincipled clique politics which can only land them in the mire”. . Since Grants death the Tendency which he formed the IMT is now led by Alan woods and Rob Sewell. They of course have a different perspective “The break up and the splintering of the Trotskyist movement are rooted in that period. Trotsky’s prognosis was correct. The then leadership of the Fourth International was totally incapable of understanding what was happening, James Cannon had a totally wrong perspective, Mandel, Pablo, frank Hansen and the others had a completely ultra-left position”. . “The Labour Government was the only Labour Government in History that actually carried out a programme”. . We have it from the Horse’s mouth after mouthing various platitudes Grant and his successors turn out to be completely reformist in outlook. Their History is one of Reformism coupled with certain aspects of Centrism’s. The LCFI will be writing a serious study of both the IMT and the CWI shortly. Grants role in the Labour Party I have touched on in my first reply to the Workers Power, but the role of Militant, its split and the emergence of the CWI and the Socialist Party we will write about in another document. Grant /Hastons position on Yugoslavia was the only principled opposition to Pablo’s drift towards Stalinism, but in total Grant only opposed Pablo when it suited him. After Healy split from Pablo in 1953 Grant would be Pablo’s man until 1964 when he split from Pablo. By this time Pablo had rejected Trotskyism in favour of Bourgeois Nationalism becoming an adviser to Ben Bella’s government in Algeria. The IMT long ago rejected Marxism in favour of supporting regimes in Venezuela like Chavez and pursing a totally reformist and centrist role within Social Democracy.